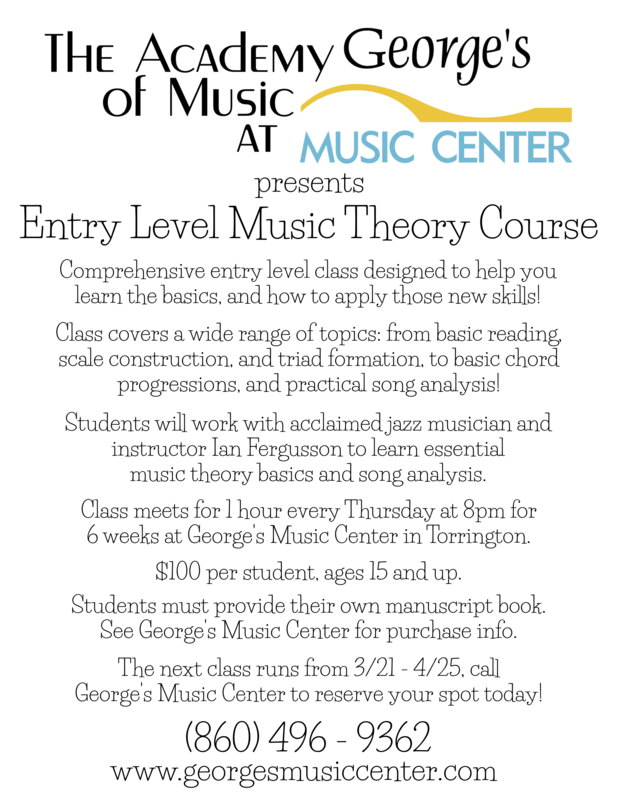 Music Theory Classes Now Forming at George's Music Center! Have you been playing an instrument for a week? a year? a decade or more? But you want to understand more of what your playing? Music Theory is the way to do just that! 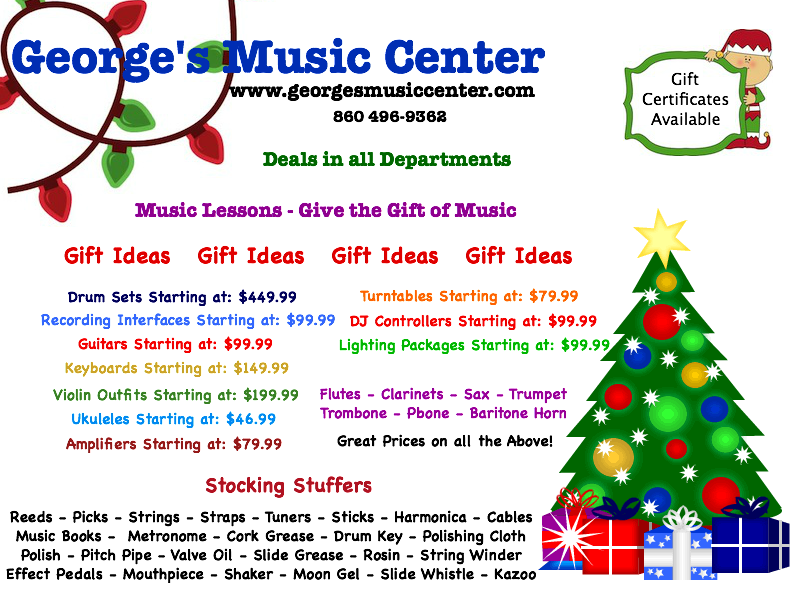 George's Music Center is the perfect environment to improve as a musician. Ian Fergusson is leading this fun and informative class - don't miss out on the foundation of music - Theory! Classes starting March 21st at 8PM at George's Music Center - Looking forward to seeing you! The first in a series of music theory courses! Guitar Classes Now Forming at George's Music Center! Have you been looking for a fun activity? 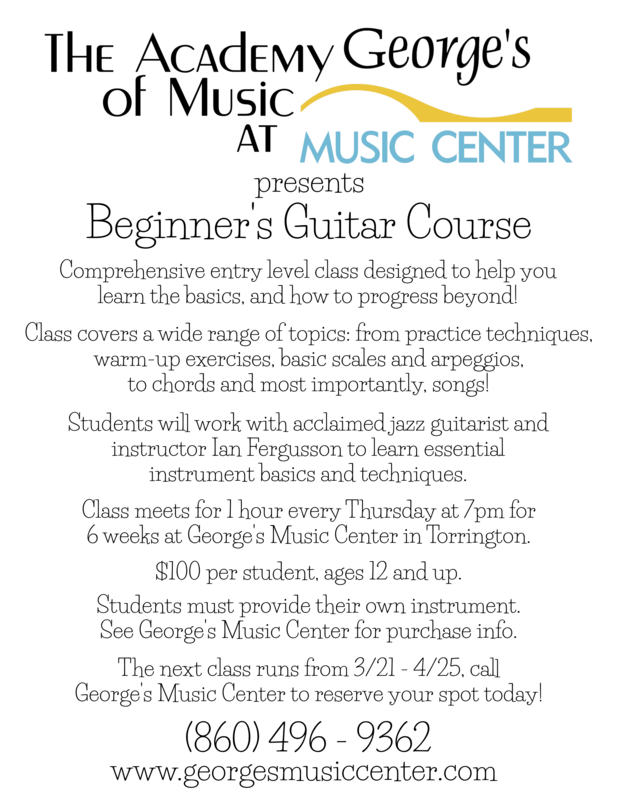 Why not take a guitar class? George's Music Center has been giving music lessons for all instruments for more than 20 years, but we realize sometimes its not easy to start playing an instrument. Taking a class and sharing this experience takes the pressure off and turns into a fun activity that is shared in a group setting! Our next class begins on Thursday March 21st at 7:00pm. Tell your friends - do it together!! Ukulele Classes Now Forming at George's Music Center! Join the Ukulele craze! Ukulele is a fun and easy instrument to learn! Why sit home in the evening being bored when you can join a fun activity that will bring joy to your life? Our next ukulele class begins on Thursday March 21st at 6:00pm. Tell your friends - Do it together! Our next class begins on Thursday February 21st at 6:00pm. 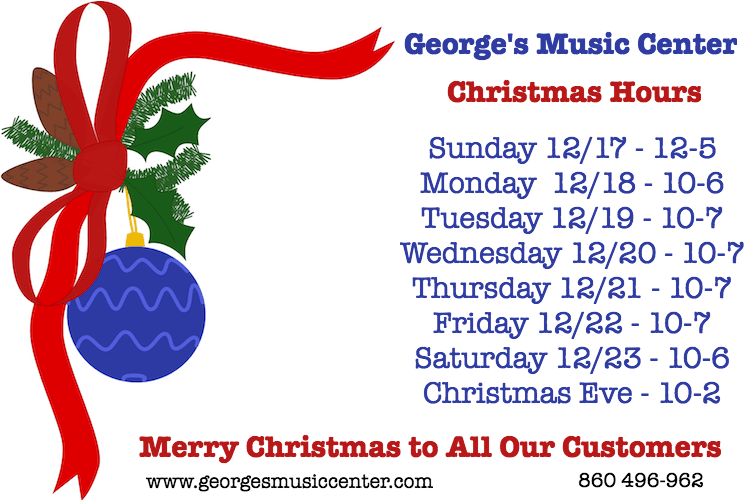 Merry Christmas from George's Music Center! We are opened right through Christmas - Last minute gift ideas! Lessons are a great gift! We have 1000's of items for that musician in your life! Stop by and say Merry Christmas! Check out our amazing website!! Give the gift of music - its a gift that keeps giving! 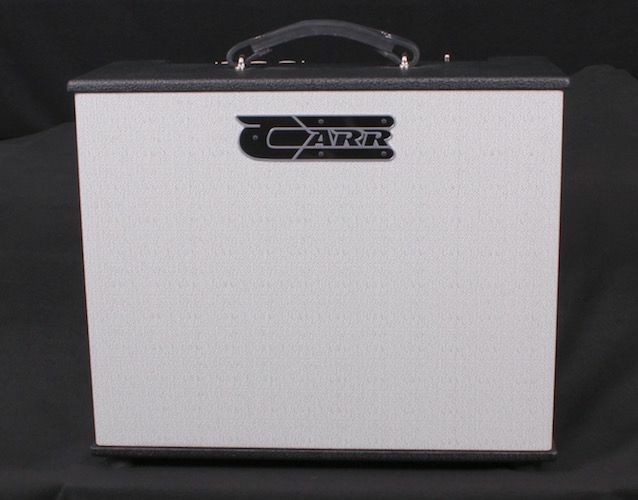 Here at George's Music Center we pride ourselves in stocking only the very best - and this Carr Telstar is one of the very best amplifier we have ever had the pleasure of playing through!! Come check out this New Carr Telestar for yourself! Carr Telstar - 1-17 Watt - All Tube - Point to Point Wired - Made in the USA! 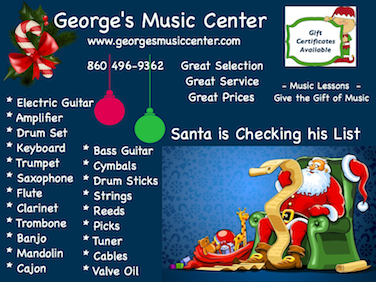 Shop Local - George's Music Center - Santa's Watching! George's Music Center offers a huge inventory of top gear at very competitive prices! We have something for everyone on your Christmas list! Stop by and check out our impressive showroom of top name instruments and accessories. We also have the best music school in NW CT. Staffed with the finest teachers in the area! Lessons are a great gift! Gift Certificates and Layaways are always offered! Merry Christmas to all our loyal customers! 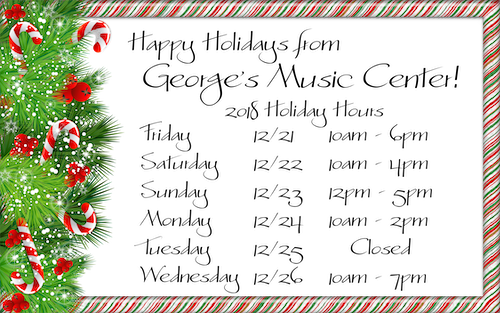 Merry Christmas from the staff at George's Music Center!